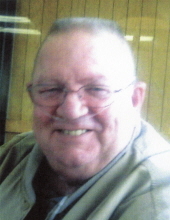 Celebrating the life of Ronald Bruce McCormick, Sr.
Obituary for Ronald Bruce McCormick, Sr.
Ronald Bruce McCormick, Sr., 69, of 868 Mount Hermon Circle, Danville, Va., went home to be with his Lord on November 12, 2018. He was born on November 18, 1948, in Danville Va., to the late Bruce Johnson McCormick and Inez McCroskey McCormick. He was married to the love of his life Brenda Adams McCormick for 49 years, who survives. He was a proud veteran of the U.S. Marine Corps where he served for seven years, achieving the rank of Staff Sergeant. He was an airplane mechanic and received a medical discharge in 1972. He was a member of American Legion Post 325. He worked in the insurance business for over 20 years. He loved people and was a “Mr. Fixit.” He took time to help the people along the insurance route to fix whatever was needed, give them a ride, or just lend a listening ear. He treated people as he wanted to be treated. His main goal in life was to make people laugh. He always had a joke or a story to tell. He found many challenges along life’s journey from having lost his mom at age 7, living at Hughes Memorial Home, enlisting in the Marine Corps at age 17 and going to Vietnam, and dealing with multiple health issues along the way, but always with a smile on his face. He is survived by his son, Mac McCormick (Melissa) of Danville; daughter, Whitney Gauldin (Toby) of Dry Fork. He was so proud of his grandsons, Luke Gauldin, Caleb McCormick, Joshua McCormick, and Zachary Crews. He always regretted that his health kept him from doing things with the boys, especially fishing which he loved. He is also survived by his brother, Garry McCormick (Eva) of Abingdon, Va., and his brother, Gilmer Finch of Ringgold; two sisters, Anita Wells (Dennis) of Danville and Rae Hoyer of Bonita Springs, Fla.; brother-in-law, Buddy Adams (Patsy) of Danville; four nieces, Noël Mink, Keely McCormick, Kelli Adams and Caitlin Wells; two nephews, Brian Adams and Colton Wells; and one great niece, Marley Mink. Funeral services will be conducted at 2:00 p.m. on Friday, November 16, 2018, from Norris Mt. Hermon Chapel, by Rev. Steve Chromy, Rev. Mike Hearp, and Elder David Smith. Interment will follow at Highland Burial Park. Family visitation will be held on Friday, Nov. 16, at the funeral home from 12:45 p.m. to 1:45 p.m. prior to the service. Come as you are and wear your bibs. At other times, the family will receive friends at the residence. Thanks to the Hardee’s Gang for all the good times and a special thank you to Dr. Garcia and Fresenius Dialysis (Blairs), Dr. Desai, and Dr. Henderson and Dave Smith. In lieu of flowers, please donate to Mount Hermon Vol. Fire Dept., 4268 Franklin Turnpike, Danville, VA 24540 (mthermonfr.org) or God’s Pit Crew, 2499 N. Main Street, Danville, VA 24540 (godspitcrew.org). Norris Funeral Services, Inc. & Crematory, Mt. Hermon Chapel, 3995 Franklin Tpke., Danville, Va. is respectfully serving the McCormick family. Online condolences may be made at www.norrisfuneral.com. To send flowers or a remembrance gift to the family of Ronald Bruce McCormick, Sr., please visit our Tribute Store. "Email Address" would like to share the life celebration of Ronald Bruce McCormick, Sr.. Click on the "link" to go to share a favorite memory or leave a condolence message for the family.